Jay W. Waldman is the President and founder of Waldman Law Group, P.C. Mr. Waldman concentrates his practice on business and commercial law and transactions, mergers and acquisitions, securities law, estate planning, estate administration, corporate finance, banking law, tax law, real estate transactions and non-profit and charitable organizations. During his twenty five-plus year career as an attorney, Mr. Waldman has acted as counsel to several publicly and privately traded financial institutions, providing advice on regulatory matters, mergers and acquisitions, Securities and Exchange Commission filings, Sarbanes-Oxley and Dodd-Frank obligations, executive compensation and employment agreements. Mr. Waldman also counsels privately-held businesses on formation and organization issues, asset and equity acquisitions, financing transactions, contracts and litigation. While a partner with the law firm of Ellsworth, Carlton, Mixell & Waldman, P.C., Mr. Waldman’s firm ranked in the top fifty law firms nation-wide in bank merger and acquisition transactions in both 2002 and 2003. Mr. Waldman is a graduate of The Dickinson School of Law (now part of the Pennsylvania State University) where he earned his Juris Doctor in 1990. He also received his LL.M. in Taxation, with an emphasis in corporate tax and estate planning, from Villanova University School of Law in 1995. Mr. Waldman received his undergraduate Bachelor of Arts degree from Franklin & Marshall College in 1987 where he majored in Mathematics. Mr. Waldman is the proud father of two children, Stephen (23) and Victoria (20). In his spare time, he serves on the Boards of Directors of the Berks County City-County Jr. Baseball League (Secretary), Eastern College Athletic Conference – Sports Information Directors Association and Berks Deaf and Hard of Hearing Services (Chairman). Mr. Waldman also currently coaches an elite travel adult baseball team comprised of 19 - 25 year old athletes. 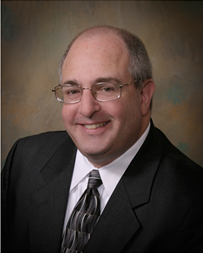 Mr. Waldman is an active member of the American, Pennsylvania and Berks County Bar Associations.